The 1851 deed for two roods of land (one half acre) sold to the church for seven pounds ten shillings by David and Elizabeth Eby stated that the land was to be used for a “meeting house and burying ground.” In 1880, David and Elizabeth’s son David B. and his wife Lydia (Bowman) Eby sold an additional acre adjoining the original property for one hundred dollars. After the new church was built closer to town in 1902, the cemetery remained. It was on the usual route that church members used to drive into town and so they often passed by. Now surrounded by the city which expanded especially in the 1970s and 1980s, the cemetery is an oasis in the midst of noisy traffic and busy malls. That small parcel of land is all that remains to suggest something of the pastoral crossroads of 1851, a time when the setting thereabouts was acre upon acre of cultivated fields, a few farm buildings, woodlots, and a new brick meetinghouse. 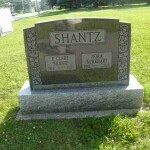 Who is buried in the cemetery? 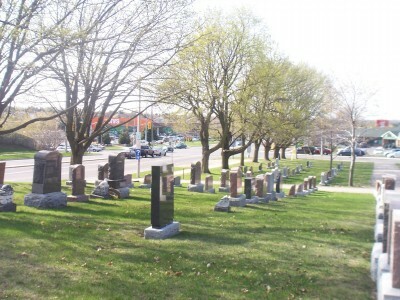 Some of the early David Eby members were buried at First Mennonite Church, 800 King Street East, Kitchener and Martin’s Meetinghouse, King Street North and Bridge Streets, Waterloo. 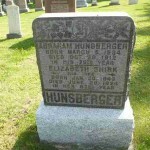 The Erb Street Mennonite Church Anniversary Cemetery Walk from 2001 can be downloaded and printed in either booklet or non-booklet form and you can guide yourself around a few highlights of the cemetery. The signposts are no longer mounted, but the included map will guide you. 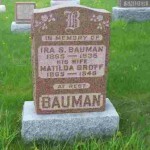 The Waterloo Branch of the Ontario Genealogical Society in 1989 did a transcription onto CD of the cemetery stones. The profiles following were taken from Erb Street’s Cemetery Walk, published in 2001, with some updates. The family moved from their farm to 128 Erb Street West, across from the church, in 1911 when the street wasn’t yet paved. Ira and Matilda’s daughters had attended the David Eby Sunday school, Sunday night Young People’s meetings and Singing Schools. 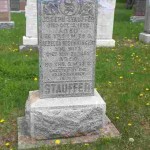 Matilda was a charter member of the Charity Circle.Ira headed a committee responsible for placing 1,340 German/Russian Mennonite immigrants who came to Waterloo in 1924. Six hundred were expected in the first group on July 19, but over 800 arrived. Homes were found for everyone. The girls remember many meetings at their home and all the time their father spent on the phone trying to find accommodations. 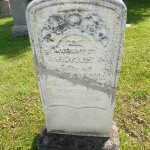 Jacob and Mary were another in the cluster of pioneer families which settled in the David Eby meetinghouse area and one of the founding families of the congregation. The farm on lot 31 of the German Company Tract (GCT) remained in the Erb family for about 130 years until it was sold in 1974. Although the house was originally slated to be demolished in the 1980s, it was saved and beautifully restored to be part of the surrounding subdivision. Jacob and Mary’s descendants continue to attend Erb Street. 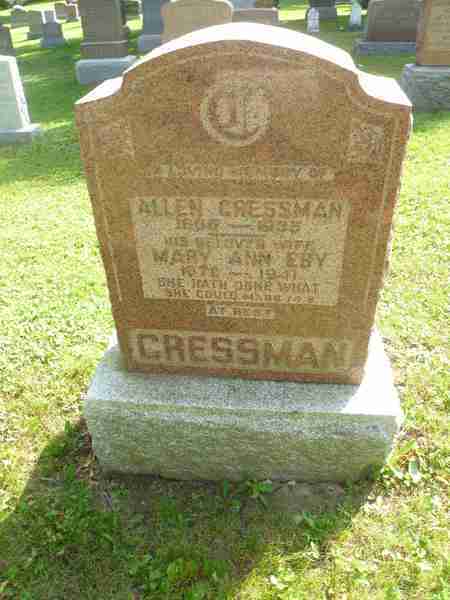 Mary Ann, daughter of David B Eby and Lydia (Bowman) Eby, was one of the last of pioneer David G. Eby’s direct descendants to attend Erb Street. The rest scattered. 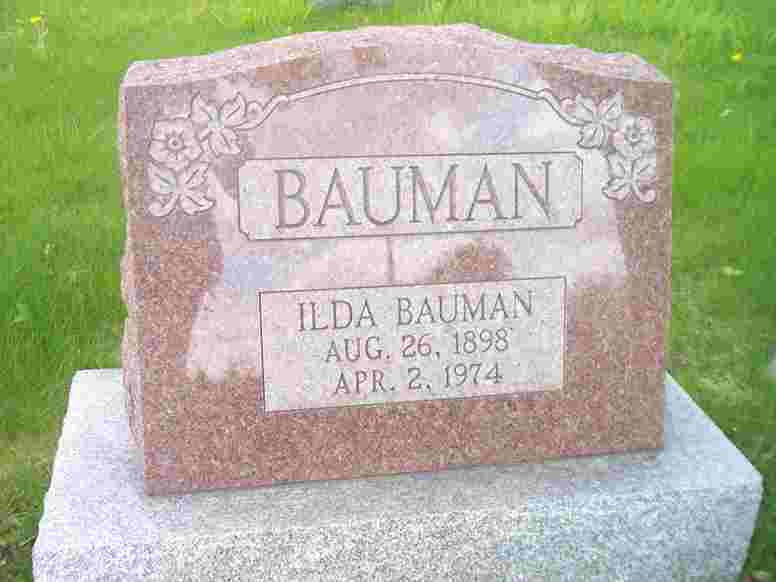 She was also the last of the clan, the third generation (David G, David B, Mary Ann) to live at the old farmstead at Fisher-Hallman Road and Erb Street West. Allen was caretaker of the David Eby meetinghouse and grounds in the 1890s. 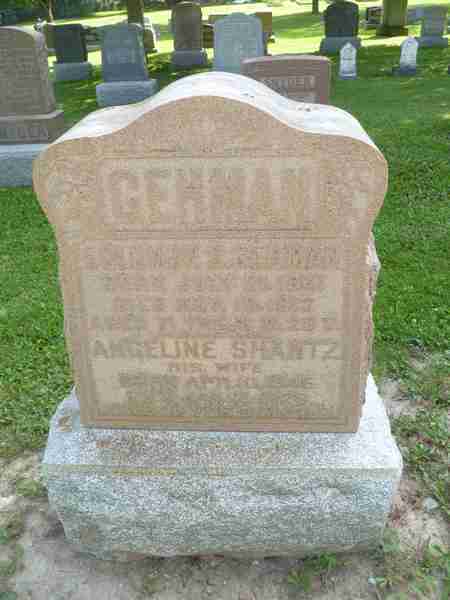 Controversial, charismatic, Gehman was a prominent preacher of the revivalist period at the Detweiler Church (Roseville, North Dumfries Township) in the latter 19th century. 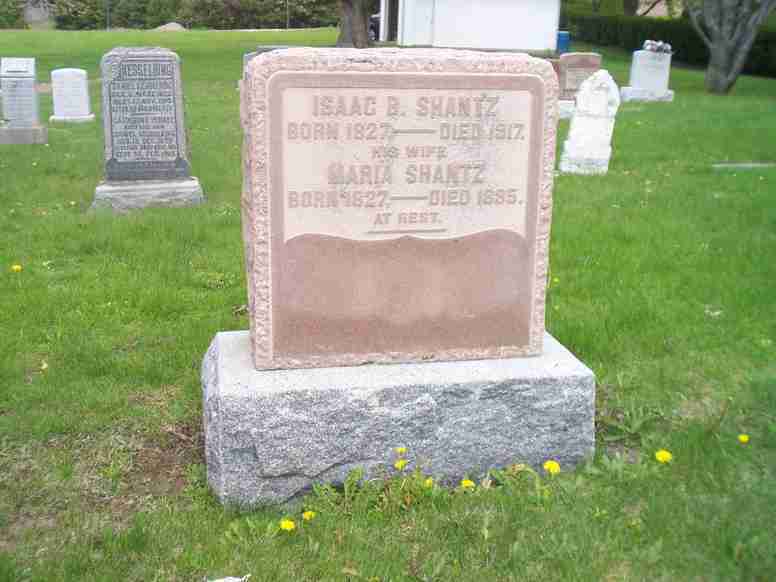 With Noah Stauffer, he co-led the prayer meetings in the David Eby neighbourhood in 1885 that contributed to the schism four years later. 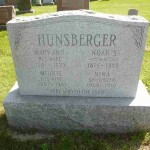 After retiring he attended Erb Street and was buried in the church cemetery. Read more about Gehman in Reg Good’s Detweiler: Detweiler’s Meetinghouse: A History of Mennonites near Roseville, Ontario. Irvin bought the David Eby farm around 1903 and the Hallmans sold it about 1980 when it comprised what is Zehrs Beechwood plaza in 2008. The original David Eby farm, part of log 32 GCT, covered all four corners at Erb West and Fisher-Hallman Road. 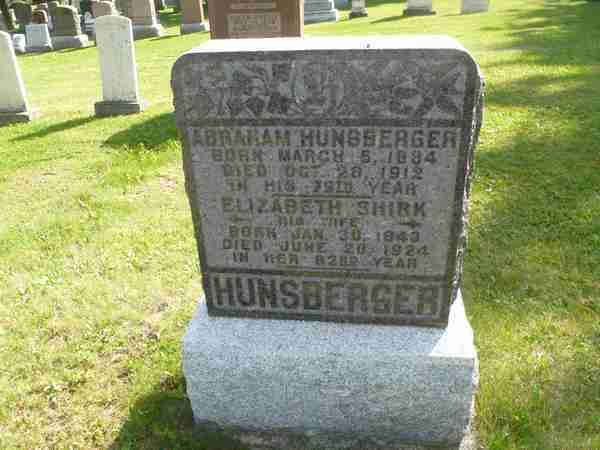 Abraham was deacon at David Eby’s/Waterloo Mennonite from 1892 – 1908, ordained to fill the void left by Deacon Menno S. Shantz, who left with Elias Snider (his father-in-law) to go with the Old Order in the 1889 schism. In 2007, Erb Street members continue to include descendants of Abraham and Elizabeth. 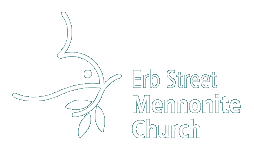 Note: for some years, Erb Street Mennonite Church was referred to as the Waterloo Mennonite Church. 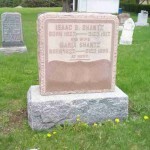 Noah was pastor of David Eby/Waterloo Mennonite/Erb Street Church from 1900 – 1920 and from 1923 – 1929 when J B Martin was called. He had been ordained to preach in the English language at a time when the change from German to English was underway in the Mennonite Conference of Ontario. 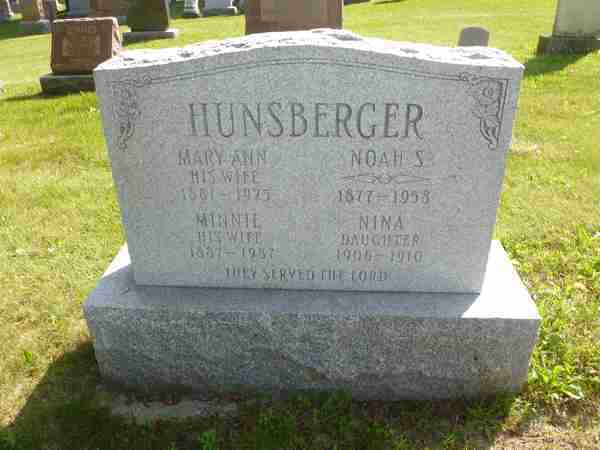 After Erb Street, Noah then pastored at various churches including the Baden Mission. By vocation he had a woodworking shop for some years and also was a beekeeper. 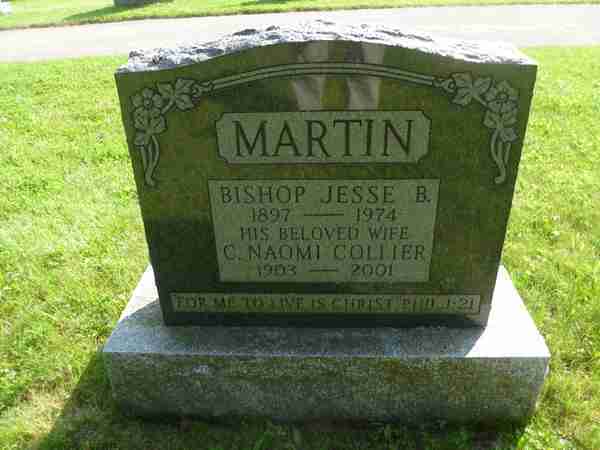 Jesse was born into the Old Order community; ordained by the Mennonite Conference in September 1925 for the Weber Church, Strasburg [Kitchener]. 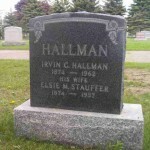 In 1926 he and Naomi were married. She left a teaching job in Missouri. 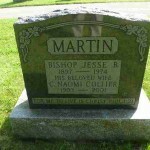 J B, as he was known, assumed the pastorate of Erb Street in 1929 – living in the first Mennonite parsonage in Ontario, three blocks from the church – and in 1947 was ordained as bishop. He worked part-time in a dairy, and for 34 years taught at Ontario Mennonite Bible School (later the Bible Institute), being principal from 1957 – 1966.Naomi grew vegetables, canned them and fruits and jams. She reworked second-hand clothes for her children, took in boarders and did housecleaning for other families.During the Second World War, in November 1940, J B was one of a delegation of eight Mennonite leaders which sat down for discussion with senior officials of the Department of National Defence to negotiate with the federal government for alternate service for Mennonite young men. J B spent many months away from home, negotiating with government officials and visiting the young men in camps. In his absence, Naomi carried on – at home and at church. She had to respond to the cares and concerns which would have come to J B.In 1953 Naomi and J B spent six months visiting mission personnel in Belgium and France and helped set up a mission program in Jerusalem. J B semi-retired in 1964, preaching at various locations until 1972. After J B’s death, Naomi volunteered at Fairview Mennonite Home helping residents. Clare was born on a farm where now are the Eastwood Collegiate and Sunnyside Home. 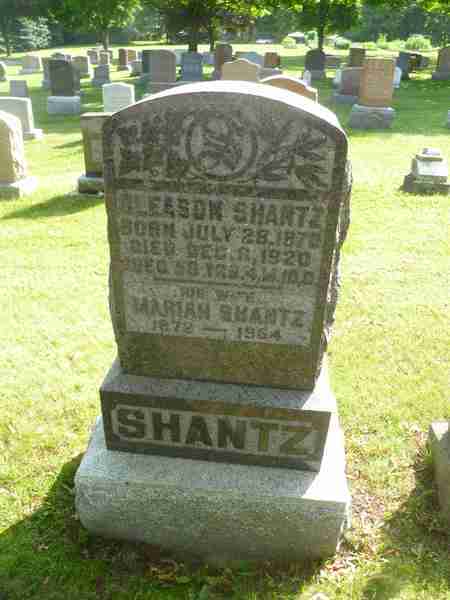 With his parents – Titus and Mary Ann (Detweller) Shantz – he attended First Mennonite then Stirling Avenue churches and was fully involved in each as Sunday school teacher, song leader, in male quartets, the Literary Society, Young People’s Bible meetings, etc. In the early 1940s, Clare attended Ontario Mennonite Bible School. Nora was cook there, making meals for an average of 125 – 150 students: three meals a day, seven days a week. 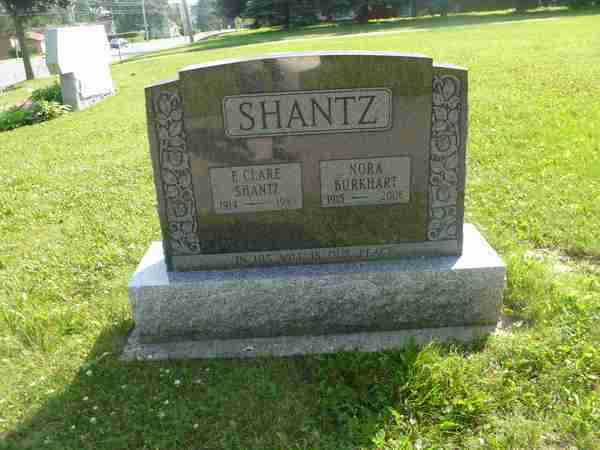 They were married in July 1945 and in September that year Clare joined Nora as a member of Erb Street. 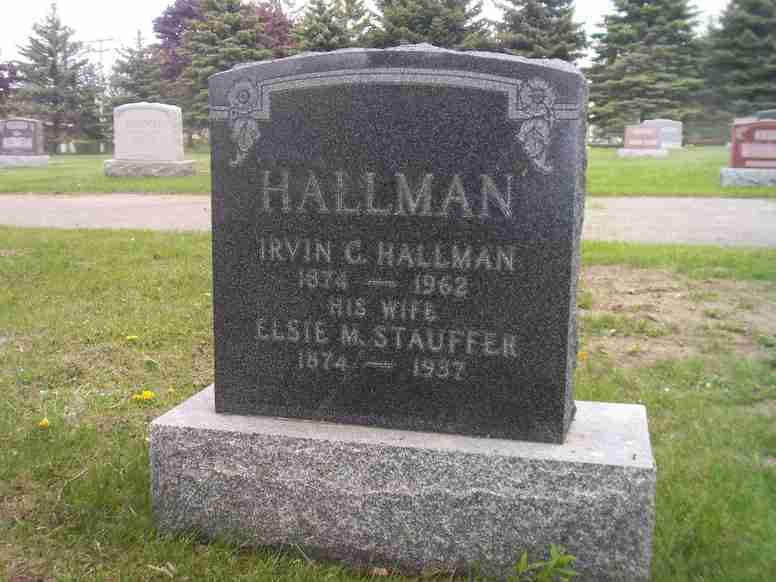 He was chosen by lot and ordained as deacon in 1948, serving until 1980, then was deacon emeritus until his death.In the 1950s Clare fell from a ladder, while working as a carpenter for J C Hallman, and severed his spinal column. After months of adjustment and rehabilitation, he continued as service manager at J C Hallman’s until retirement. Some of Clare’s many achievements – despite being restricted to a wheelchair – were getting a ramp built at Erb Street Church, and building trailers designed for his special needs so that he and Nora could travel.Nora’s birthplace was on the farm situated on the north west corner of Columbia and Philip Streets in Waterloo. 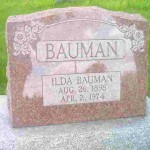 Her parents were Menno and Hattie (Lichty) Burkhart and the family attended Erb Street Mennonite Church from about 1922. There was a time at Erb Street when Sunday school pupils could choose their teacher: Nora moved with one class of teenage girls for nine years. The Sunshine Band Committee (later Girls’ Club), Junior Charity Circle, the Beacon’s WMSA (later WMSC Circle) and librarian were other leadership roles Nora took.In 1958, 1959 and 1960 Nora underwent many operations and treatment for cancer: one operation removed one eye and half of her upper jaw. She was told she would probably not live for another year. The Shantz farm is shown on the Bird’s Eye View map c1891 of the Town of Waterloo. It was located where Globe Furniture and Canada Barrels and Kegs/Canbar once stood – the now-empty space (in 2008) between Silver Lake and Father David Bauer Drive.People visiting each other between Wilmot and Woolwich townships would take a break in their travels and stop at the Shantz home to water, feed and rest their horses.Mariah attended the David Eby and Erb Street Churches and from the beginning of the Charity Circle was very active, serving as president and vice-president. She hosted many Charity Circle meetings in her home, especially in the winter because they always had coal and the rooms were warm! (Cleason was a teamster and had coal.) Mariah knitted socks, mitts and sweaters for conscientious objectors in the work camps, for Mennonite Central Committee workers and relief programs From her large garden she gave produce to the orphanage and to needy families. 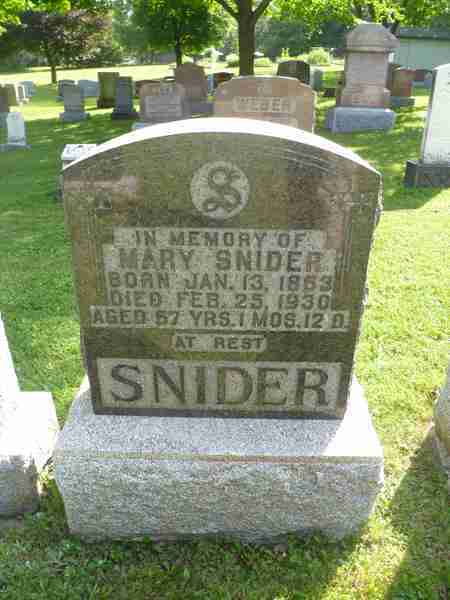 In 1927 Mariah married Abram Snyder 1866-1938. 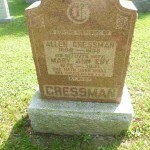 He is also buried in the Erb Street cemetery.Cleason was very involved and active on boards and committees at Erb Street. 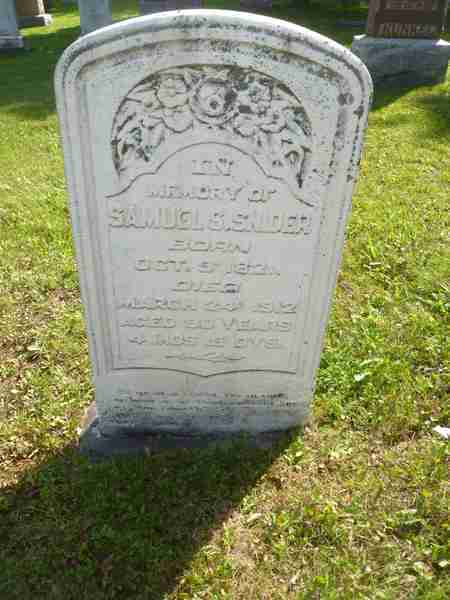 He was a member of the Building Committee for the present structure, built in 1902. 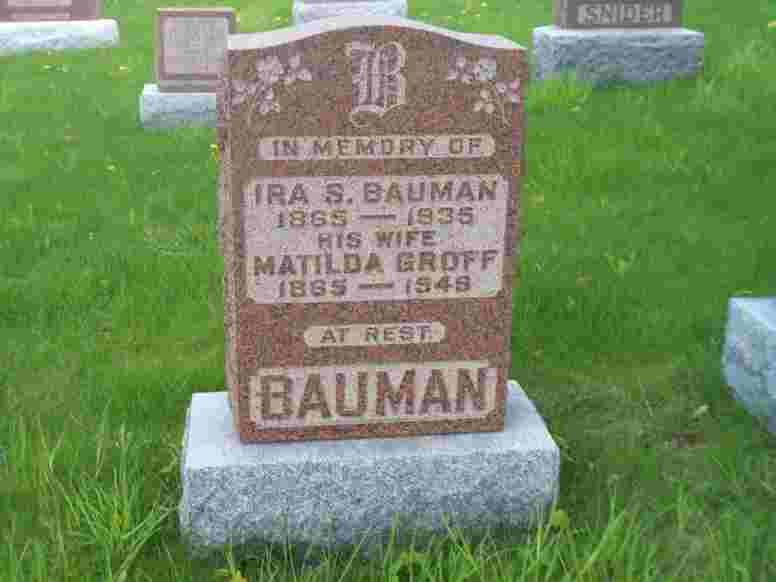 Ida, who lived 98 years, is the daughter of Noah K Stauffer and Barbara Betzner.Ida was the first president of the Waterloo Mennonite Women’s Charity Circle in 1908. It was formed to sew clothes for needy “Fresh Air” city children hosted for a week or two in the summer by rural or farm families. 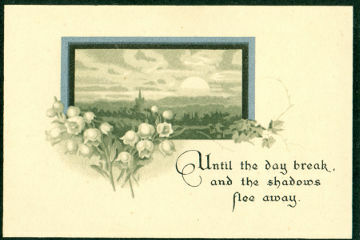 From 1908 to 1939 Ida served terms as vice-president, on the buying committee, president again, and on the quilt-patch cutting committee. 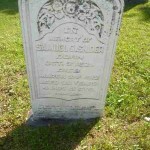 From 1918 to 1929 she served on the executive of the newly formed Ontario Sewing Circle. The work of the Charity Circle was always an important part of her life. Mary’s father Samuel donated land on Erb Street for $1 for the new 1902 church. 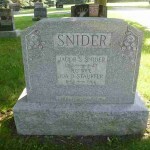 Her parents’ graves are in the same row as hers. 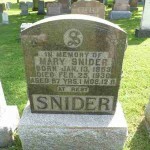 Mary lived on the Snider farm until the mid 1890s. It was just west of Waterloo where the Westmount Golf Club is located. In 1896 she was appointed matron of the Berlin (now Kitchener) Orphanage on the corner of King and Victoria Streets, resigning about 1927. In 1904 a baby boy was left on the steps of the orphanage and Mary looked after him, named him Edward and eventually adopted him. 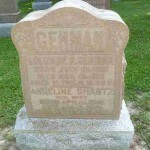 Mary was an active member of Berlin Mennonite Church (now First Mennonite) and in 1908 was involved in organizing Sisters’ Aid (later called Ladies’ Aid) and served on the executive. In the 1920s Mary “was somewhat vocal” during the dispute when the conference pressured the congregation to discipline women who were wearing hats instead of the prescribed bonnet. 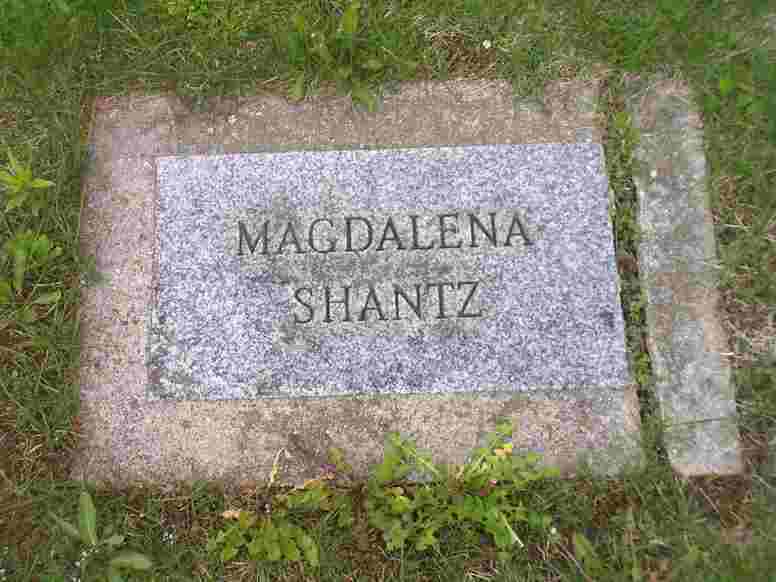 “…she complained that an unfair distinction was being made between men and women in legislating dress regulations.” When the women came under church discipline, Mary was one of the group which withdrew and organized an independent congregation: Stirling Avenue Mennonite Church. In 1925 Stirling women organized a Women’s Missionary Society with Mary elected president. 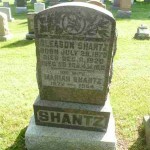 We think she was also active in the Women’s Christian Temperance Movement. The forerunner of the present day Mennonite Youth Fellowship (MYF) were Young People’s Bible meetings (YPBM) and before that, Edification Meetings. 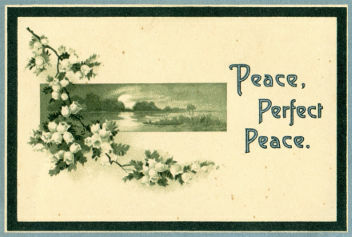 In the 1890s Mary was instrumental in organizing the first Edification Meetings. 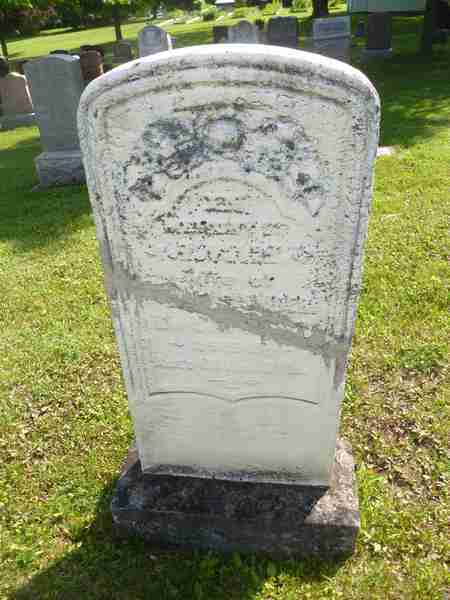 When her son Edward died suddenly of peritonitis in 1930, Mary was broken-hearted. 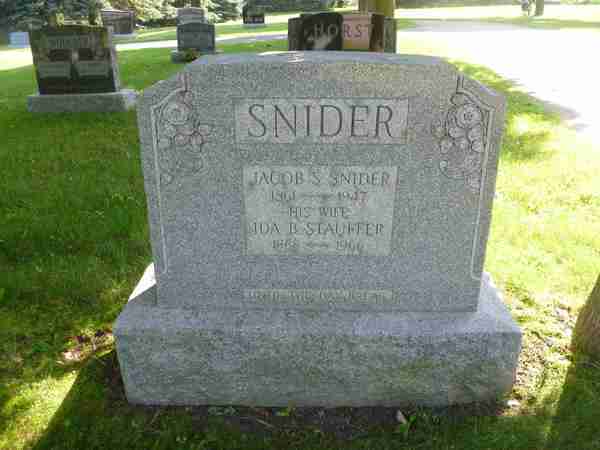 She died the day of his funeral. 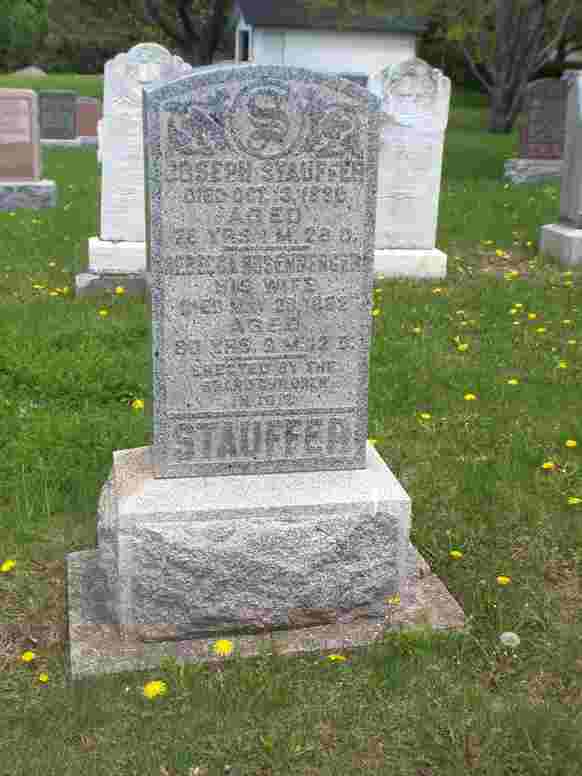 Rebecca and Joseph have the earliest recorded dates of birth in the cemetery and were one of the cluster of pioneer families which cleared the land and farmed in the David Eby meetinghouse area. Their farm was just south of the Ebys. 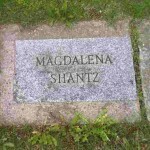 Headstone photos by Marion Roes.